I hope you all are enjoying National Sewing Month and have a project going. Karen Greenup and Donna Robbins have been hard at work with theirs. They shared their projects with us and are now entered to win a twin size Warm & Natural batting. You have until September 30th to share your project and get your name in too! 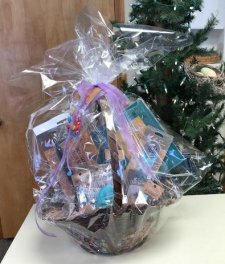 For National Sewing Month we are raffling a Basket of Basic Sewing Supplies. The Basket is valued at over $100.00 and includes everything from a cutting mat, titanium tailor scissors and rotary cutter, to rulers and other notions. Tickets are $1.00 each and 6 for $5.00. All proceeds will go to Genesis House for Molly Hackett to purchase supplies for sewing/art projects. Please show your support and buy tickets! The drawing will take place on Saturday, October 6th. We are hosting our first ever Back to Basics Celebration. We will have demos on basic tips and tricks for cutting, sewing, and binding. Of course we will have yummy refreshments and 25% off basics such as Needles, Rotary Cutters, Thread and our favorite Rulers. A Clean Stitch will be available 10:00-3:00 to answer all your sewing machine questions, including how to oil and maintain it. You are welcome to bring your machine in for a consult. They will also have available great quality, previously loved machines for you to purchase. Here is your chance to upgrade your sewing machine. Broomhilda’s Bakery is a delicious success and our Jelly Roll class is booked up. Marilyn will be opening up another session soon. Finish Up Friday returns October 5th! Call for your reservations now. 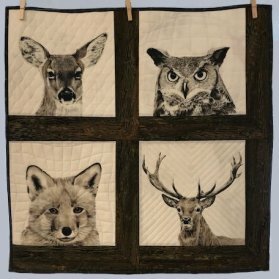 Our very own award winning Sue Paceley will be teaching Piece, Quilt, Assemble on October 26 & 27. Sue will teach her technique for Piecing, quilting, and assembling in sections so that the project is manageable for domestic sewing machines. 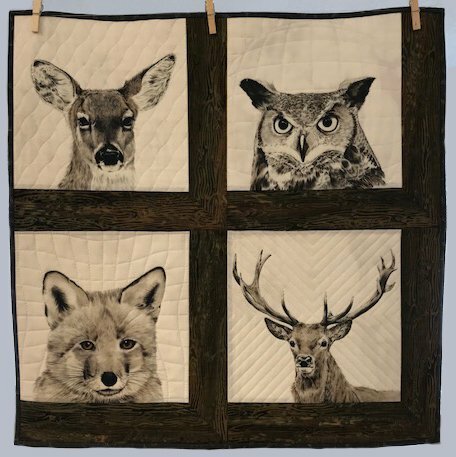 If you want to do your own quilting, but do not own a long-arm or mid-arm quilting machine, this class is a must! We have begun our full session of Fat Quarter Bunco and the ladies are having a great time winning fat quarters and gift certificates to Patches. We do have a couple openings for substitute players. Please call us to sign up. We play the second Wednesday of the month.